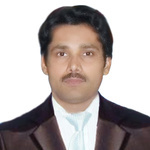 Hi, my name is Abdul Waheed I have done my MBA Finance I am trained freelancer having 3 years experience. My expertise in Digital Marketing, Conversion documents to Fillable...Read moreHi, my name is Abdul Waheed I have done my MBA Finance I am trained freelancer having 3 years experience. My expertise in Digital Marketing, Conversion documents to Fillable PDF Forms, Data Entry, Typing 45 words Per Minute, MS Word, Excel, PowerPoint, Book Keeping in Finance Manager Software, Mass Emailing, Project Management, Affiliation Marketing, Virtual Assistant. My aim is to give 100% client satisfaction according to work. You are here at right place to choose right person.